SUMMARY: Not a fan of iTunes and want to find alternative to iTunes? You're in the right place. In this article, we are going to show you what is iTunes alternative, how to find the best iTunes alternative and more. Apple's iTunes is one of the most popular desktop app for Windows PC and Mac. As a media player, media library manager, online radio broadcaster, and iPhone, iPad, iPod manager, before the release of iTunes 11.7, it was just getting notorious for trying to be everything to everyone, all the time: music, books, apps, videos purchasing, syncing, and a lot more. Not everyone is a fan of Apple iTunes. Why Apple design iTunes as such a omni-purposed application? Would iTunes be a better product if it were split up into smaller, focused, single-purpose apps? See table below to find out why you'll need an iTunes alternative that will improve your Apple product and media content experience. If you want to listen to local music files with iTunes, it will add them to your library automatically. Even you don’t always want it to do so. iTunes does not make a clean divide between movies to buy and the ones to rent. It is a very tedious task to get more information about movies. Apple is promoting their very own 24/7 Radio Station, Beats 1, while they seem to not care much about the actual "Internetradio" segment. The album view doesn't clearly separate the artists, and the artists view shows the full tracklist for each album, which wastes a lot of space. 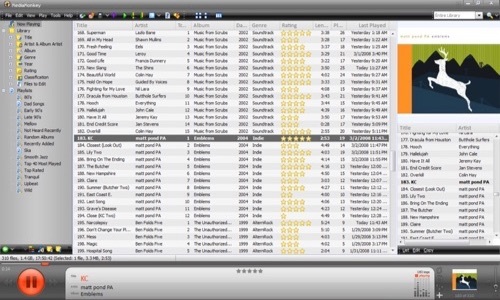 Users can see the tracks of the playlist but cannot see in the data of the single tracks to which playlist they belong. Browsing through your music in iTunes you may easily loose track and often it takes too much clicks reaching your destination. In iTunes the functionality for uploading and downloading files to and from iOS Devices is hidden under three layers of navigation. Just to get there is painful. In iTunes the user is presented with an unwieldy screen of multiple scrollable lists of checkboxes. Inherently it is very hard to keep track of what is synchronized an what isn't. No way to transfer music from iPod iPhone back to computer. iTunes sync will overwrite existing content on your device. In the past decade, iTunes serves perfectly: music, books, apps, videos purchasing, syncing, and a lot more. The more features it covers, the harder it becomes a smaller, focused, single-purpose app. So an iTunes alternative software will rethink iTunes first, find confusing and painstaking parts in iTunes, then deliver a more dedicated solution. Here are some key factors by which we round up this best iTunes alternative list. Both free and paid iTunes Alternative software are available to help improve your iTunes experience. Even though paid solutions always provide more features and better customer support service, we insist picking free solutions as our recommendation. Both entry level and senior users understand that iTunes has a variety of limits. We'd like to recommend you the best iTunes Alternative software that can fill these gaps. All iTunes alternative solutions in our recommended list have features that iTunes doesn't have. Each iTunes Alternative software in our list focuses on solving one particular problem, for example, your iTunes music playback, iTunes library or iPhone, iPad, iPod content management, Apple device backup and restore, etc. 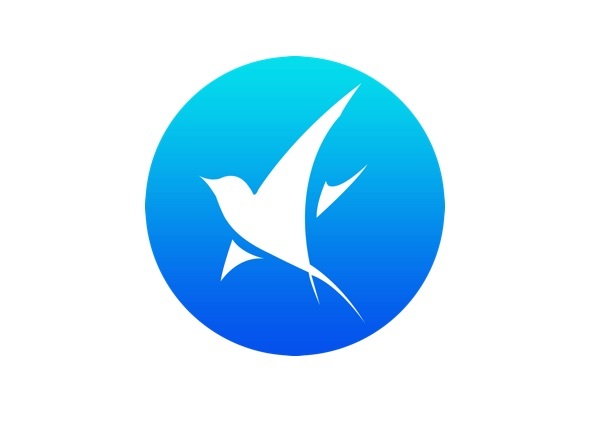 As a free iPhone/iPod music transfer software, SyncBird allows you to transfer music from iPod to computer; import photos from iPhone to computer; copy music from computer to iPod without iTunes. It focuses on managing your iOS media content, with more freedom and comfortness. Transfer your iPhone/iPod music, movies, photos and more without bringing iTunes in. Capable of copying iPhone/iPod music TO/FROM computer without iTunes. Import new songs to iPhone iPod without losing existing ones. New iTunes Alternative freeware but lack of media conversion ability. Cannot fix missing album cover art, lyrics and more. Cannot rip CDs to iTunes library. CopyTrans Manager is the lite and free version of CopyTrans. This iTunes Alternative only works for Windows but lets you copy music from your computer to your iPod without using iTunes. No matter where the music you're moving came from, it's easy to transfer through with this straightforward and convenient tool (Check CopyTrans Alternative for Mac). 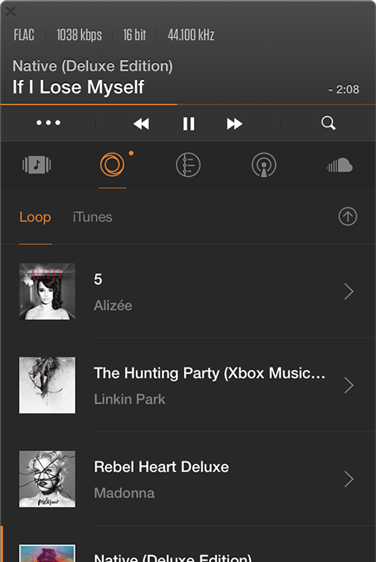 Build-in iTunes music player that lets you play the music from your Apple devices. Limited file types and features. Cannot Transfer music from iPod to computer. Cannot Transfer music from iPhone to iTunes library. Cannot Transfer photos from iPhone to computer. Senuti, the backward spelling of iTunes, is one of iTunes Alternative applications work solely on macOS (Find Senuti for Windows ). 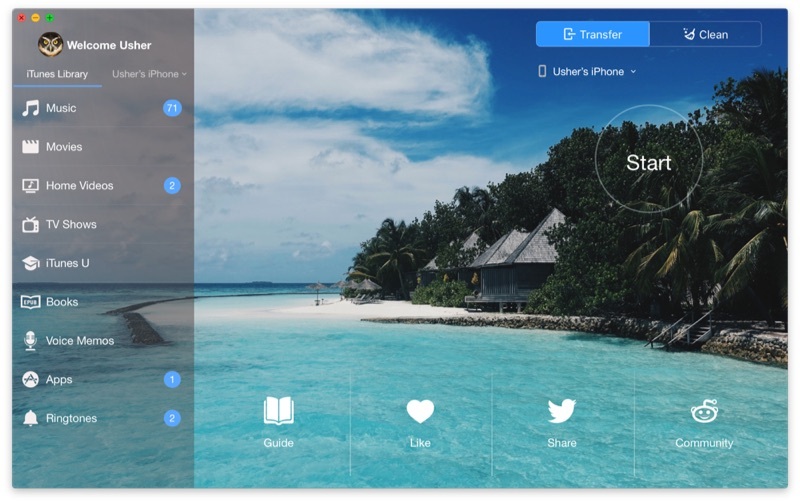 It helps you manage your iTunes library by transferring music, movies, videos, iTunes U, and podcasts from iPod (and your iPhone, iPad) back to your Mac. As a commercial iTunes Alternative for iPhone iPod Music Transfer, you can only transfer 1000 songs without purchasing the full copy. Straightforward and perfect for new users. Drag and drop playlists directly into the program. Cannot transfer music from computer to your iPod. 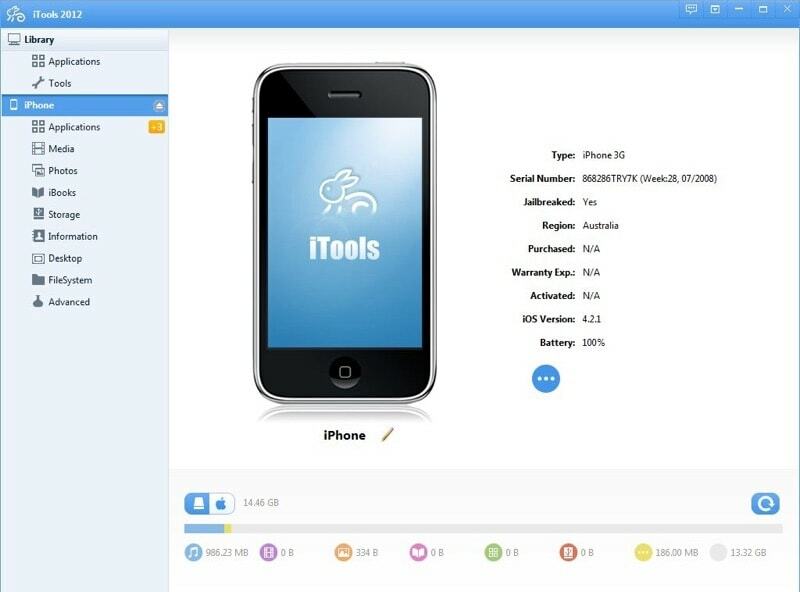 As the best iTunes Alternative for iOS device manager, iTools is a powerful and feature rich solution, which focuses more on iPhone, iPad and iPod touch. It lets you manage your iPod touch through an intuitive interface on your Windows / Mac computer, explore your iPhone/iPad file system and make customizing ringtones for your iOS devices. 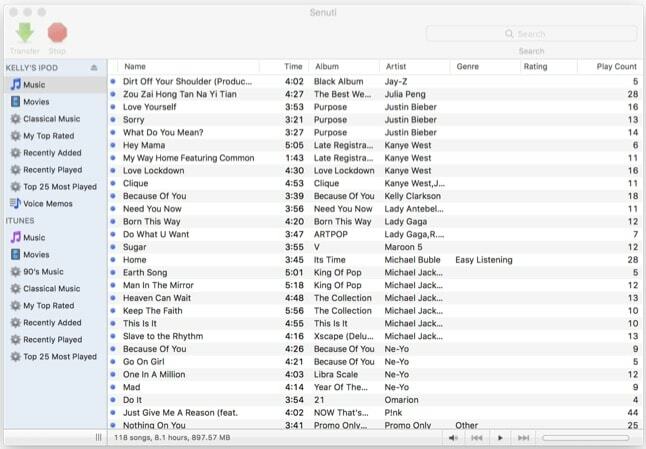 Create ringtones from music on your computer and then load them to your iPhone, iPad and iPod. Install and uninstall apps on iPod touch. Screen recording for iOS devices. iPhone File Explorer feature is insignificant after iOS 8.3. Commercial software costs 19.99 USD. 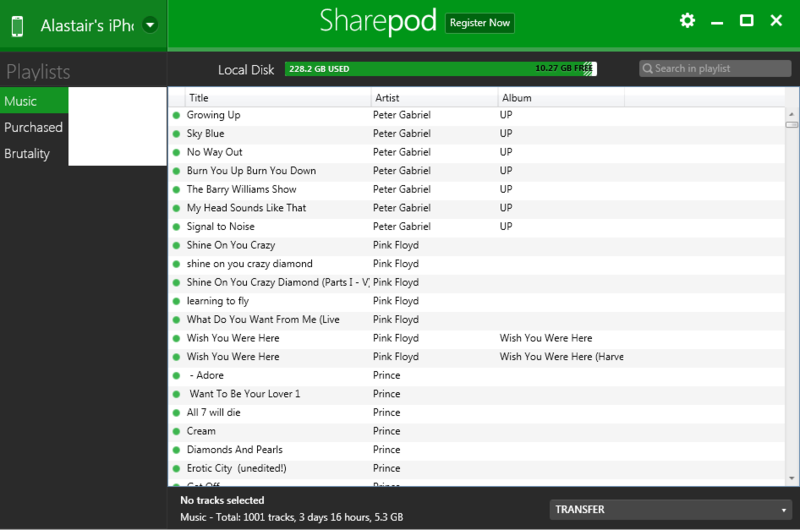 SharePod was another iTunes Alternative freeware for quite a while until redesigned by MacroPlant, the developer of iExplorer. It can efficiently transfer your music collection to your hard drive, make it easy to back up or restore your music, videos, and photos. Basic editing on your music collection to correct missing or wrong meta info. Restore the database on your iPhone, iPad and iPod touch. Commercial iTunes Alternative utility (for iPod Music Transfer ) that costs 20 USD. Mainly served as media manager for serious music lovers, MediaMonkey is an iTunes Alternative for media library organizing and music playback. It's capable of syncing music with almost any device including your iPhones, iPods, MP3 portable players and more. But the iPod Transfer feature integrated with MediaMonkey is quite basic. Offer plenty of ways to enjoy your favorite tunes. An active community of coders who made custom skins and tweaks. Combined with too much codec package that you may not need. 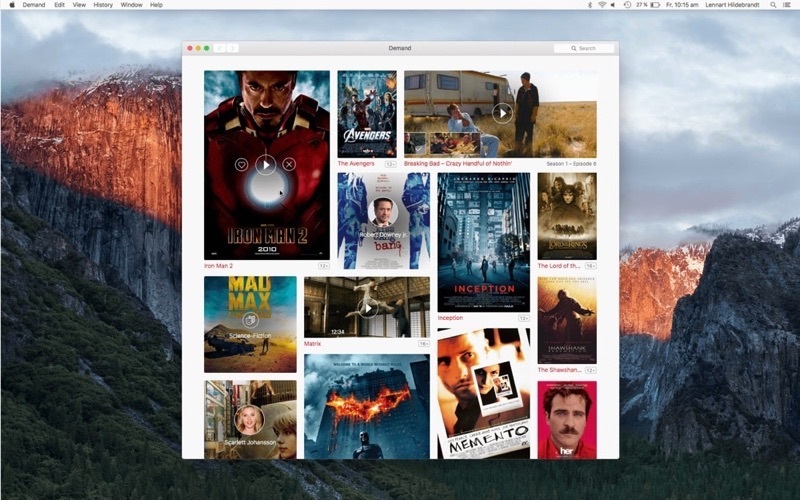 Vox is an iTunes alternative player for utilizing a Mac's potential. In addition to common formats, including: FLAC, MP3, CUE, APE & M4A, you can also playback Hi-Res Audio (HD Audio) with up to 24bit/192kHz, at 4 times higher than iTunes' standard 44kHz sound resolution. Also Vox allows you to enjoy the 5.1 multichannel audio playback for the most comprehensive, sophisticated music listening experience. Professional music player on Windows and Mac computer. Enjoy your iTunes & Personal Music Library with ultimate possible quality. Built-in radio app feature gives you access to thousands of radio stations around the world. No iPhone, iPod content management option. Every iTunes Alternative mentioned above has solid performance and is capable for replace your iTunes in some way. As each of them focuses on different part of the iTunes Alternative solutions, now it's up to you to make the choice.